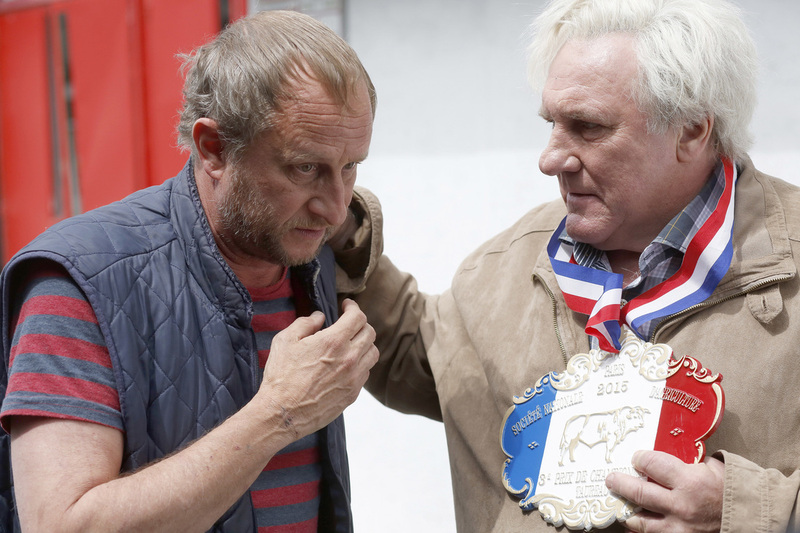 A movie review of ​SAINT AMOUR. Living for your holidays, anyone who has ever done a job they were not passionate about can relate. 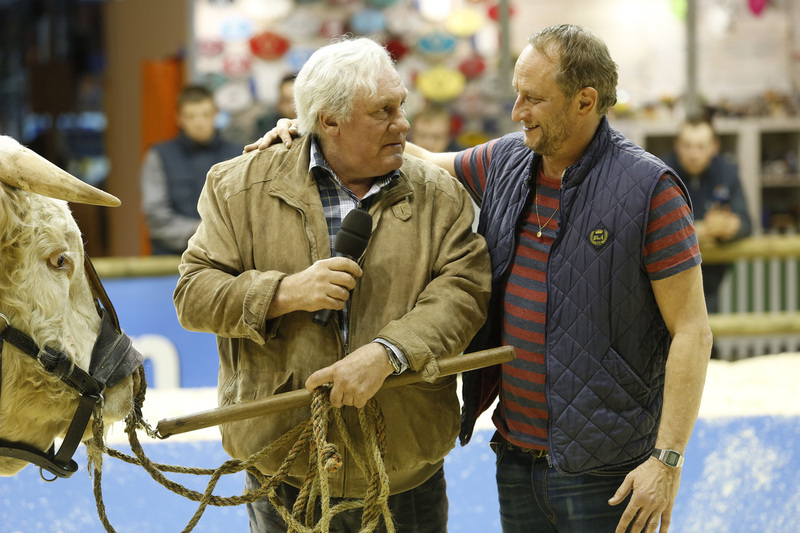 It is the Paris Agricultural Show and father-son farmers, Jean and Bruno (Benoît Poelvoorde – on peak form), are there for different reasons. 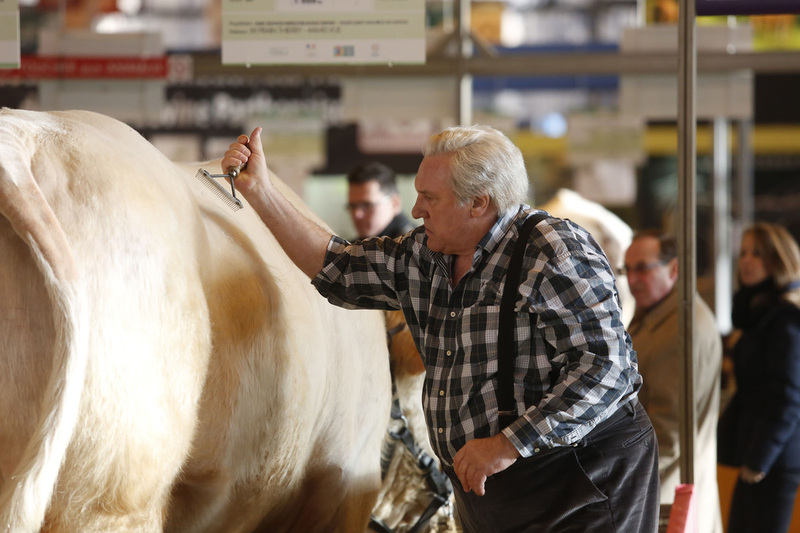 The former feels it is the last chance to take the top pedigree prize, for his bull Nabuchodonosor. Not yet mentioning it to his son, he is striving to find a way to broach the topic of retirement. In a case of severe arrested development, 50-something Bruno still acts as if a teenager. (Can there be a coming of age movie for someone of that vintage?) 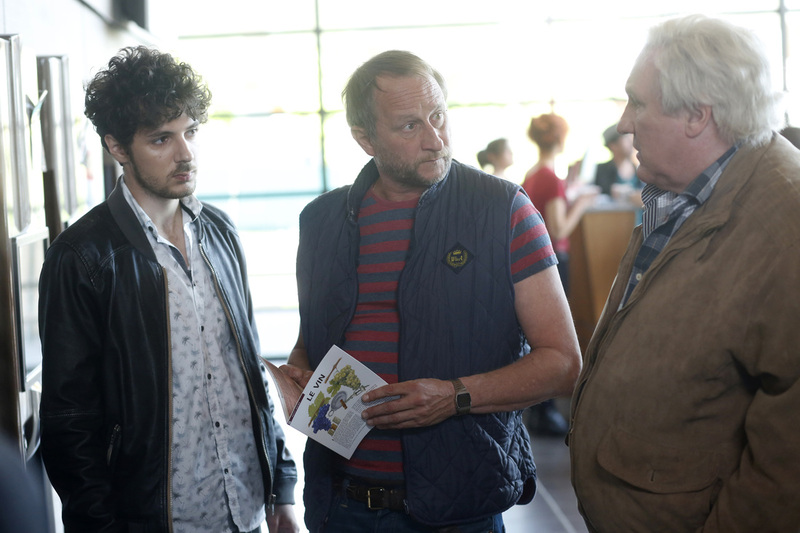 His one week off a year is purely centred on alcoholic annihilation with pal Thierry (co-director Gustave Kervern). ​The Agricultural Show is not solely about livestock, there is a wine section. Tradition has it that Bruno and Thierry partake in an indoor wine trail covering the major French vineyard regions without having to leave the expo. Years of romantic non-starters seemingly have left Bruno currently, especially emotionally raw. As the duo awkwardly cheekily imbibe as much free vino as possible, dignity goes out of the window. “It’s one long series of rejections,” Bruno confesses at one point during the runtime. Poelvoorde (ROMANTICS ANONYMOUS, 3 HEARTS) is such a likable presence, one cannot but feel sympathy for him in between watching his cringe antics through your fingers. Depardieu has recently been choosing roles that audiences find difficult to care for (WELCOME TO NEW YORK, LIFE OF PI), but here delivers a performance of dialled-back warmth; being the straight man while the odd bods around him do their stuff. Wife, and mother to Bruno, having passed, Jean still leaves messages for her, to hear her voice and talk out loud his worries. It is touching sans sentimentality. He decides to take Bruno on a real wine tour and the film segues quickly into hilarious road trip mode. For those that have not been fortunate enough to catch previous efforts of writer- directors Benoît Delépine and Gustave Kervern, you are in for a treat. LOUISE-MICHEL, MAMMUTH and LE GRAND SOIR are superlative comedies. The directing partnership of Delépine and Kervern reminds of the SOUTH PARK creators comprehension of humour. Unlike so many mainstream genre offerings, mawkishness is not allowed a foothold. Jokes come thick and fast, especially of the visual variety. One has to admire the constant subverting of expectations. Wait till you witness Bruno’s monologue on the 16 stages of drunkenness.